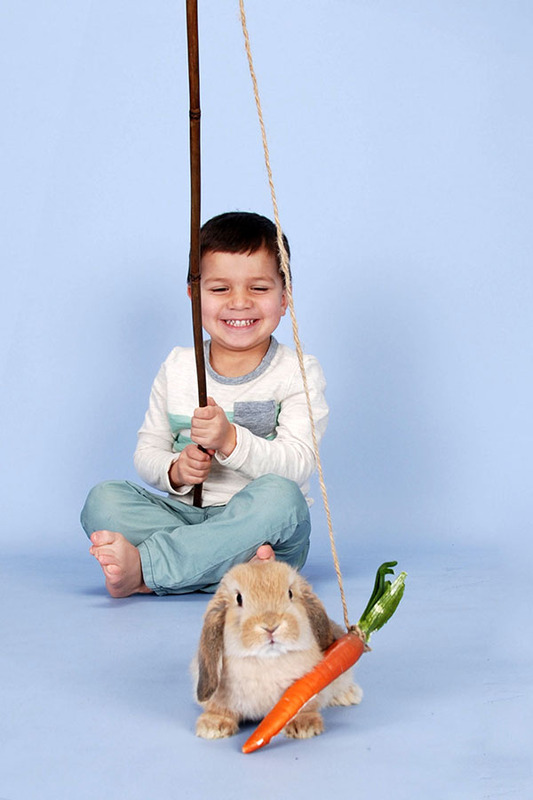 Nothing brings out children’s excitement like animals. 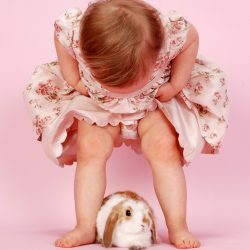 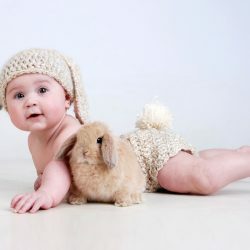 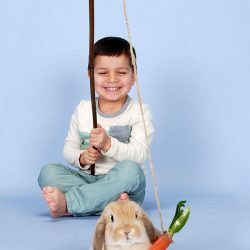 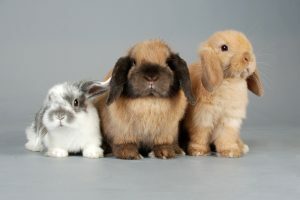 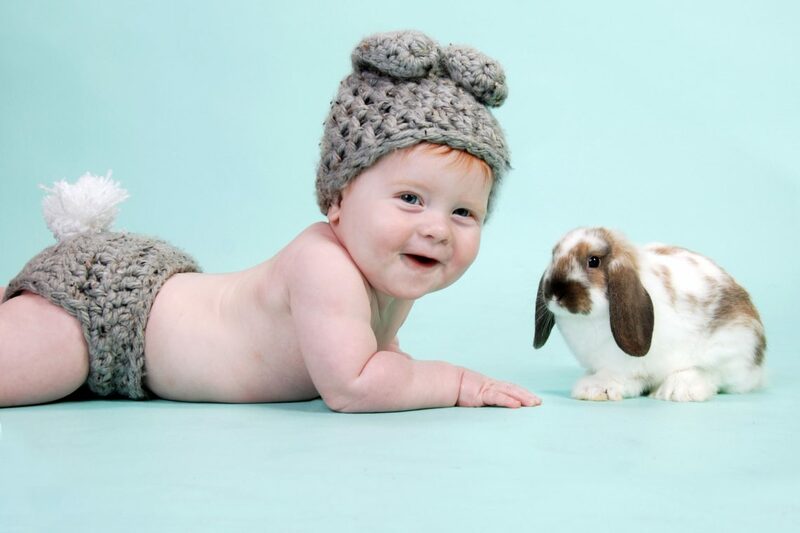 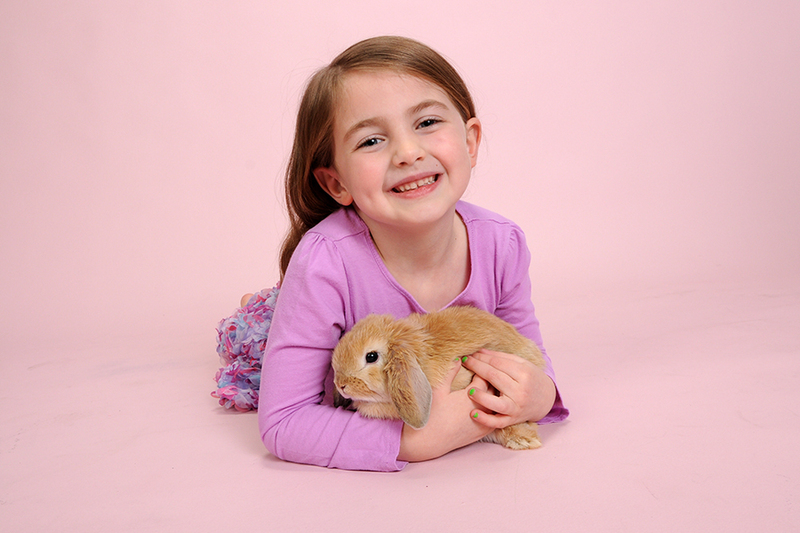 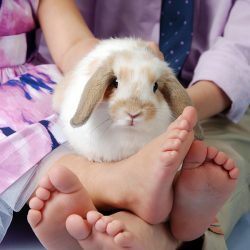 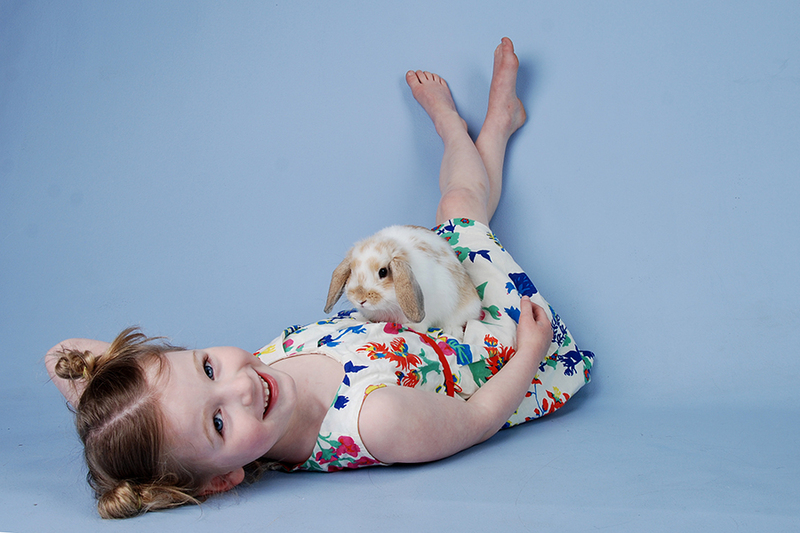 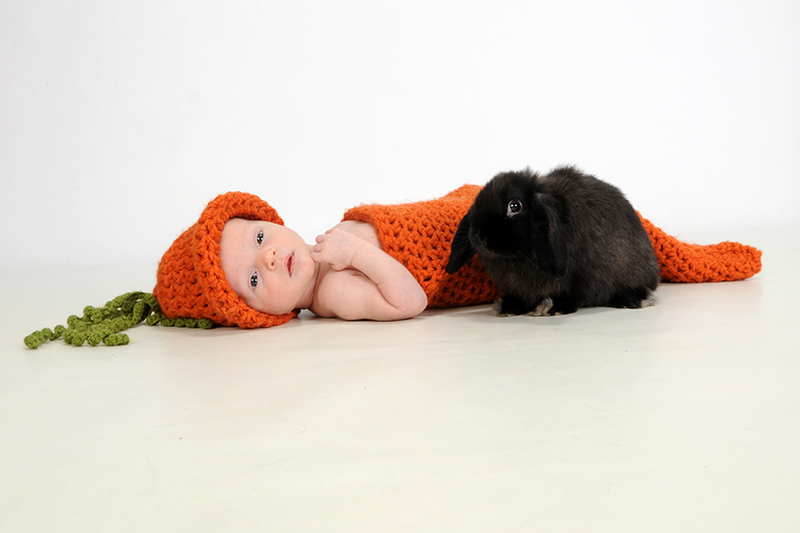 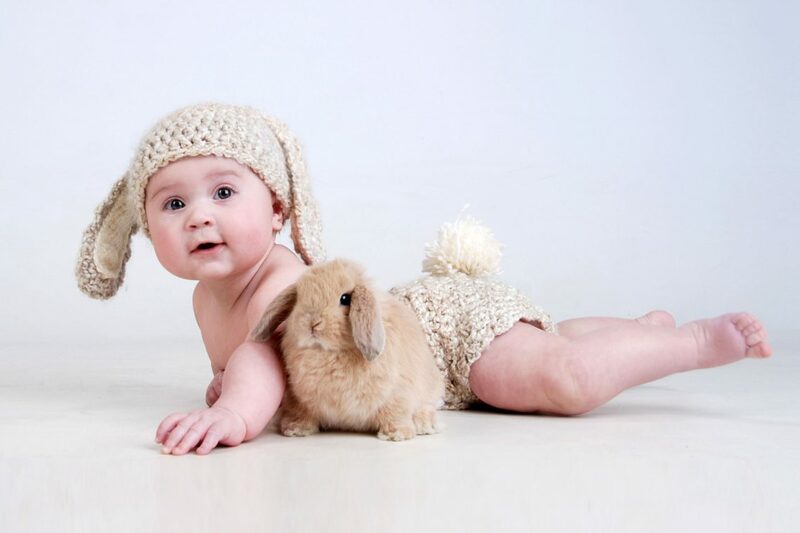 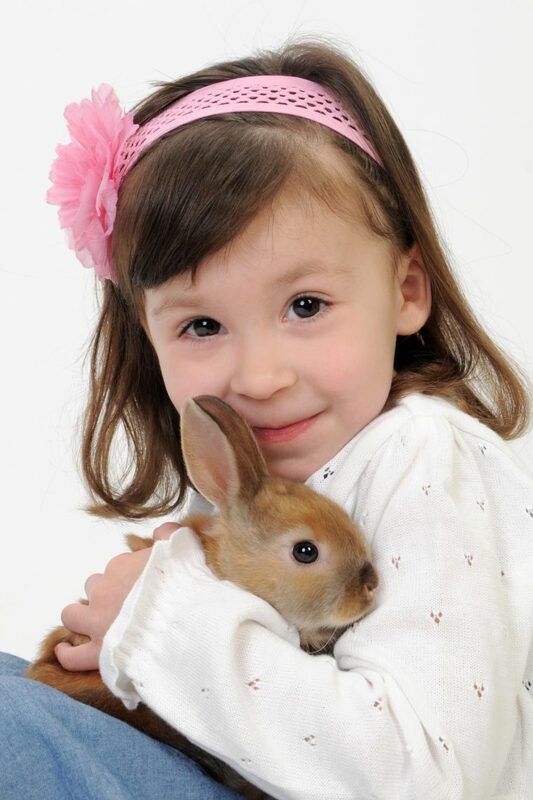 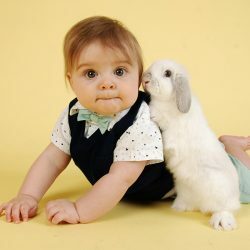 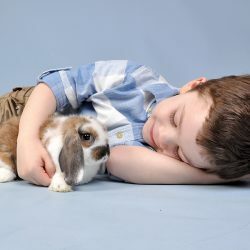 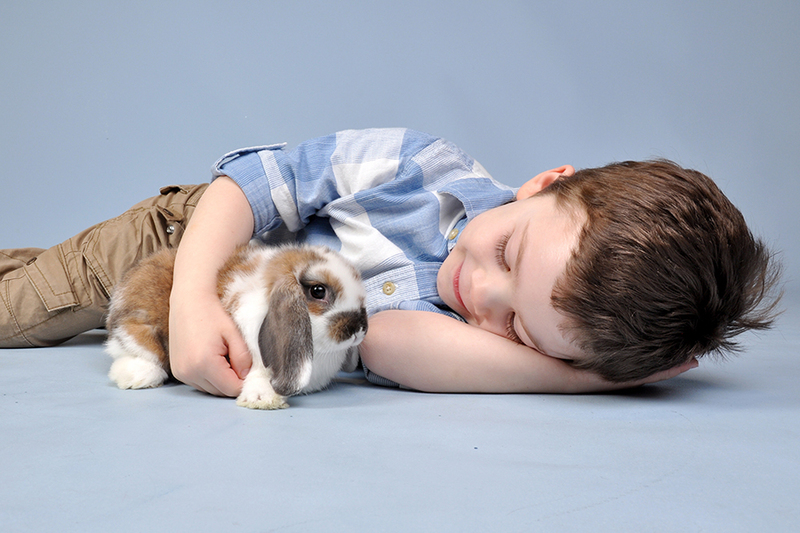 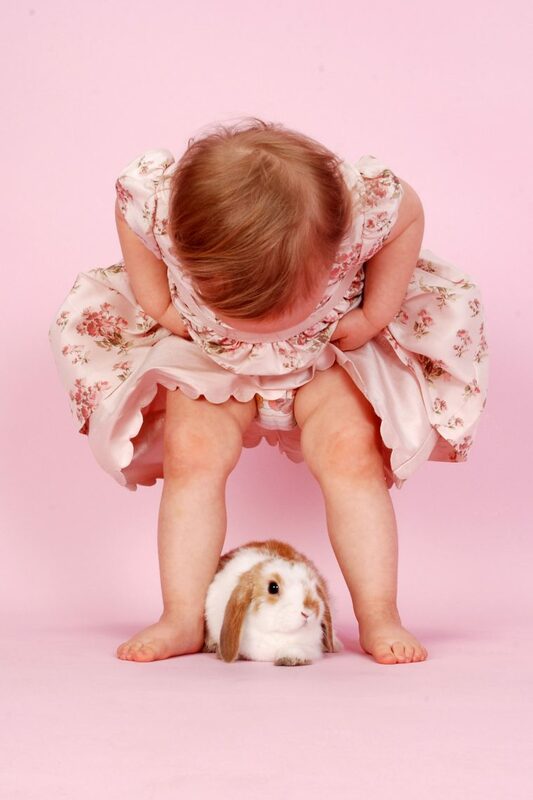 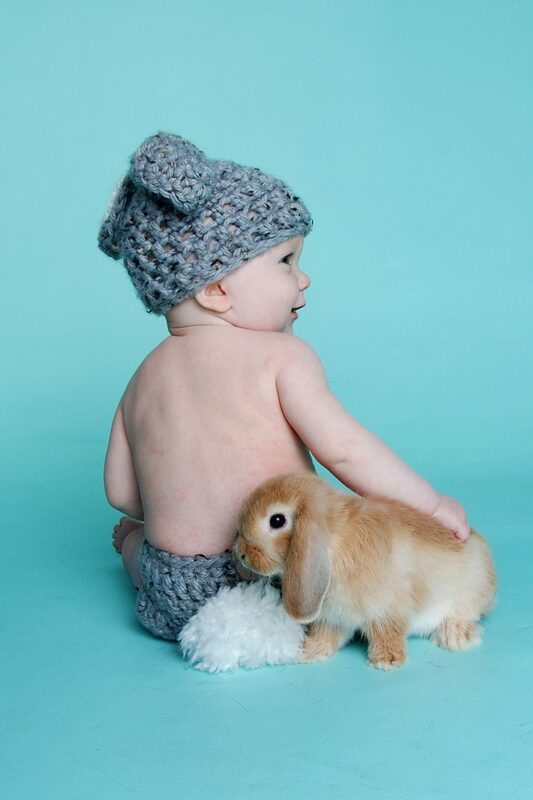 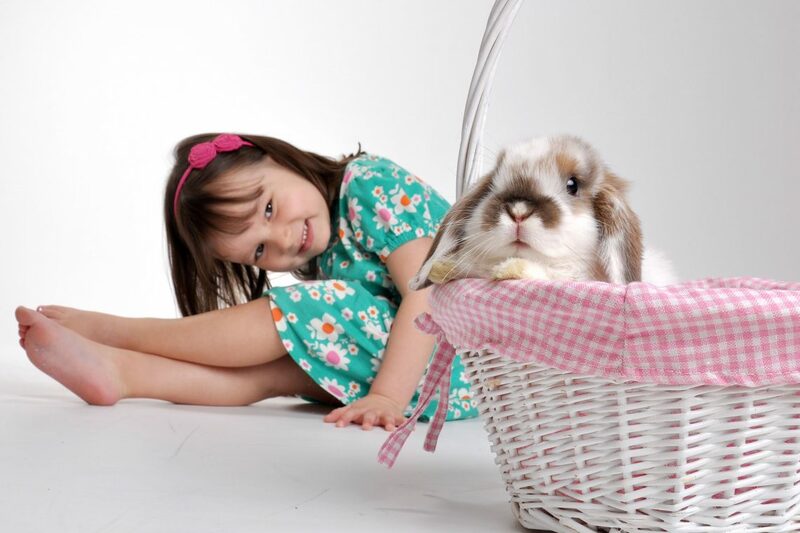 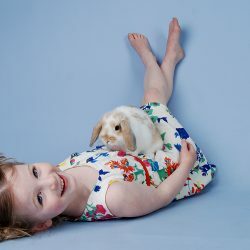 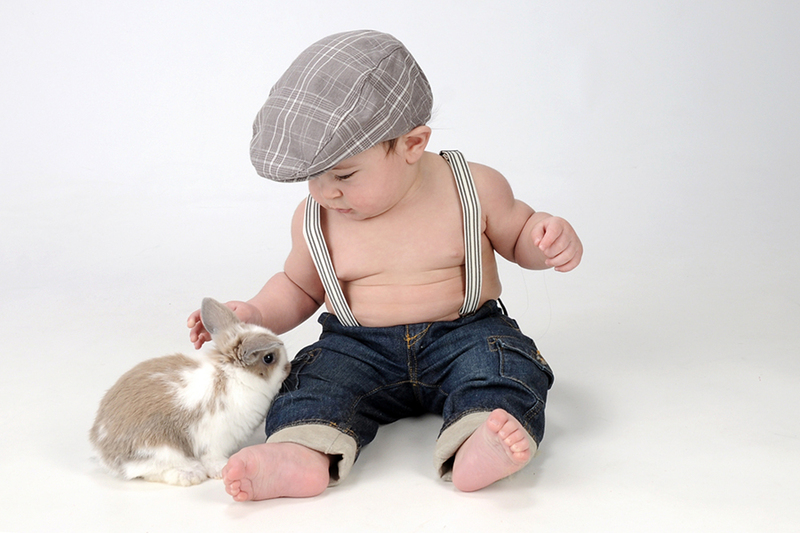 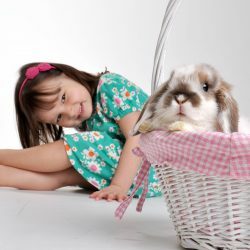 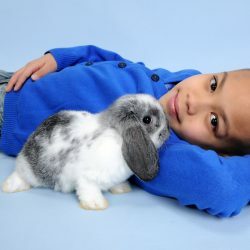 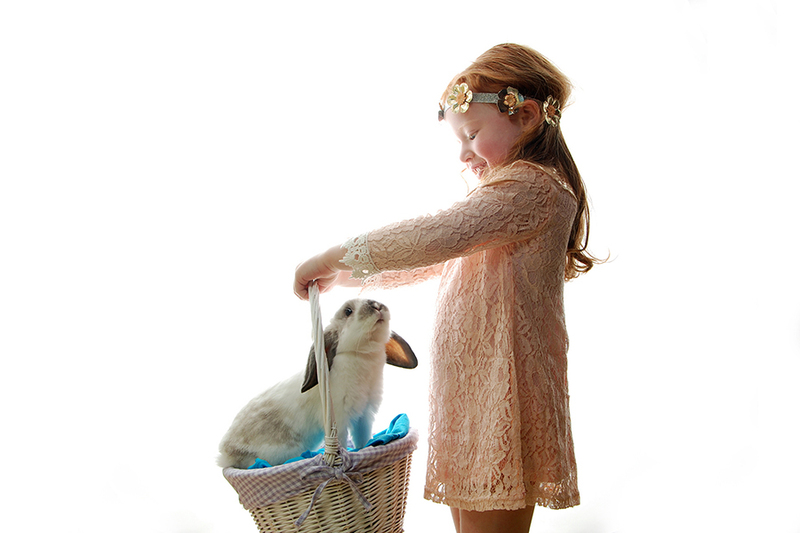 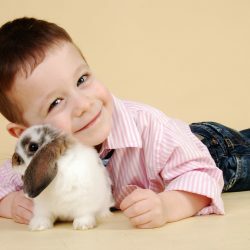 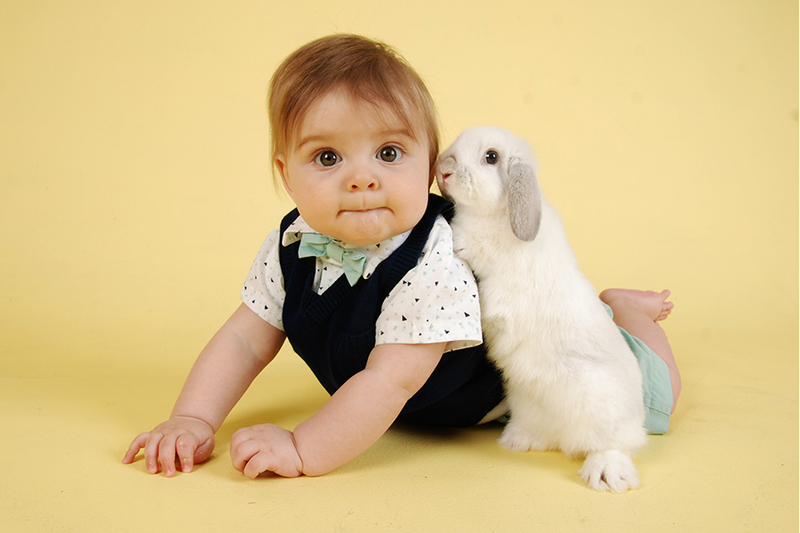 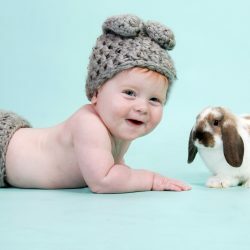 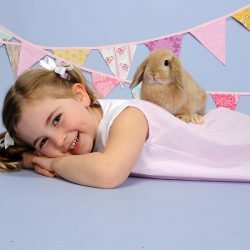 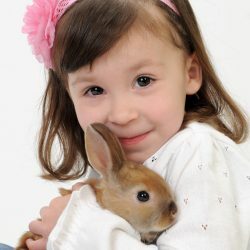 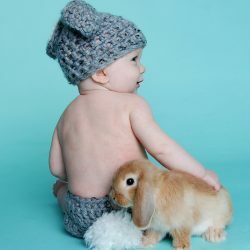 Imagine bringing your baby or children to have their portraits taken and they find a live bunny in the studio! 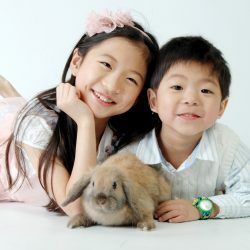 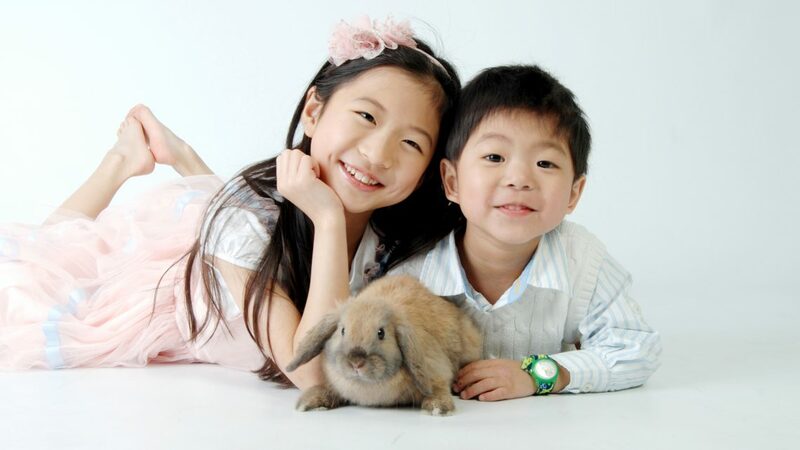 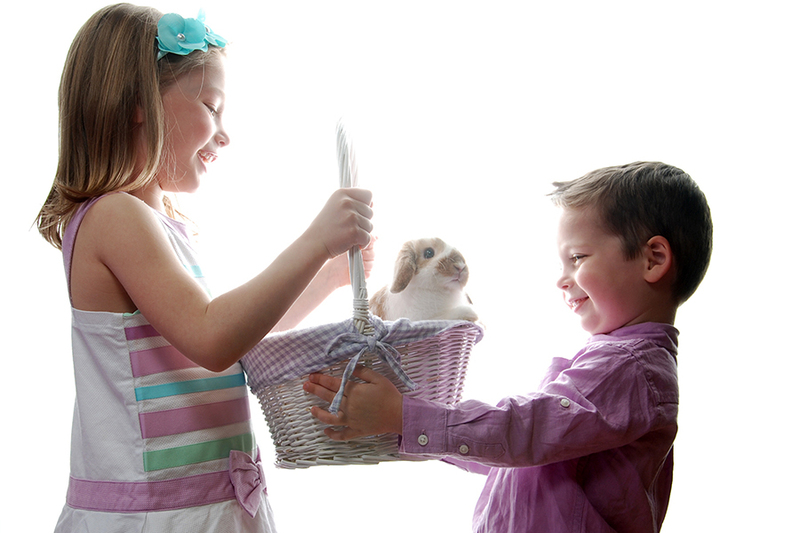 Their faces brighten, smiles are wide, they can’t wait to hold the bunny and smile for the camera. 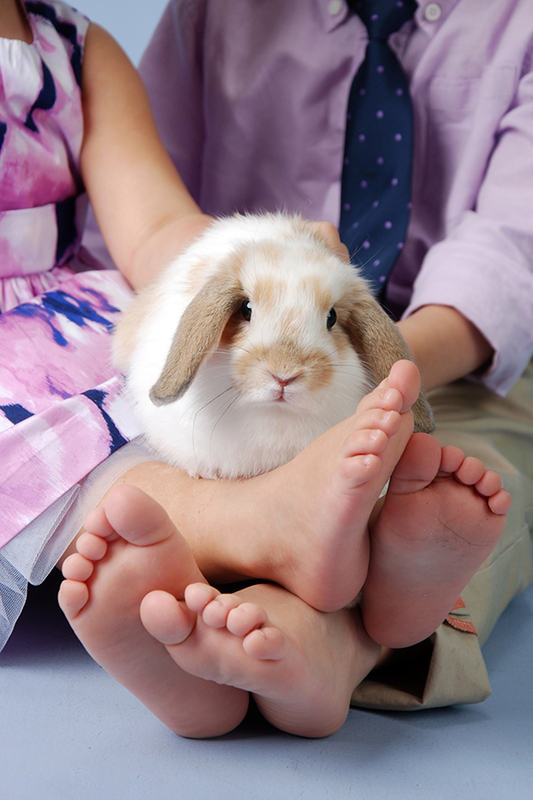 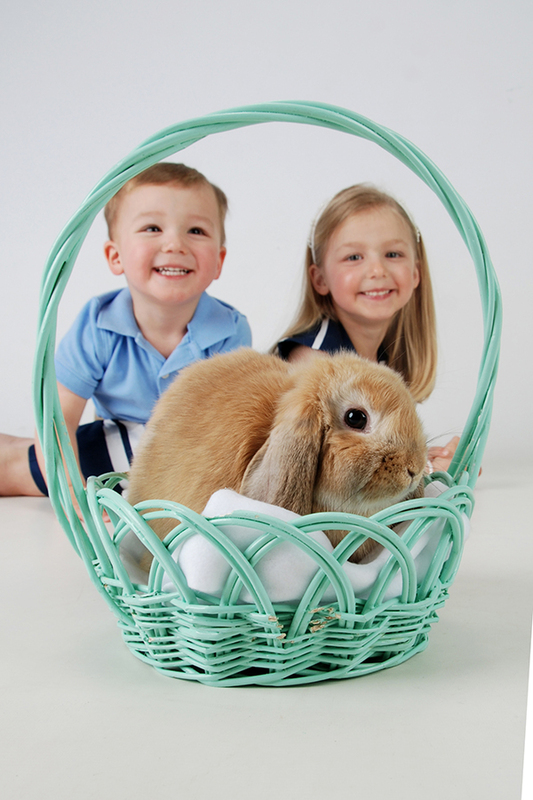 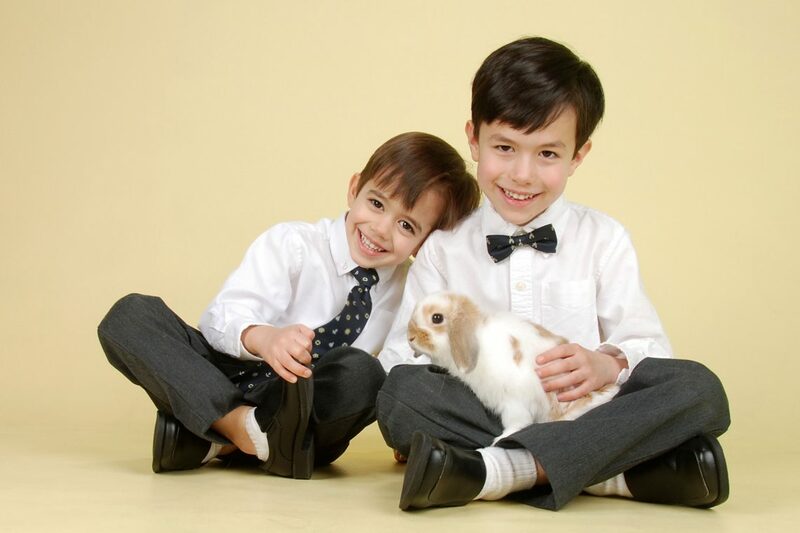 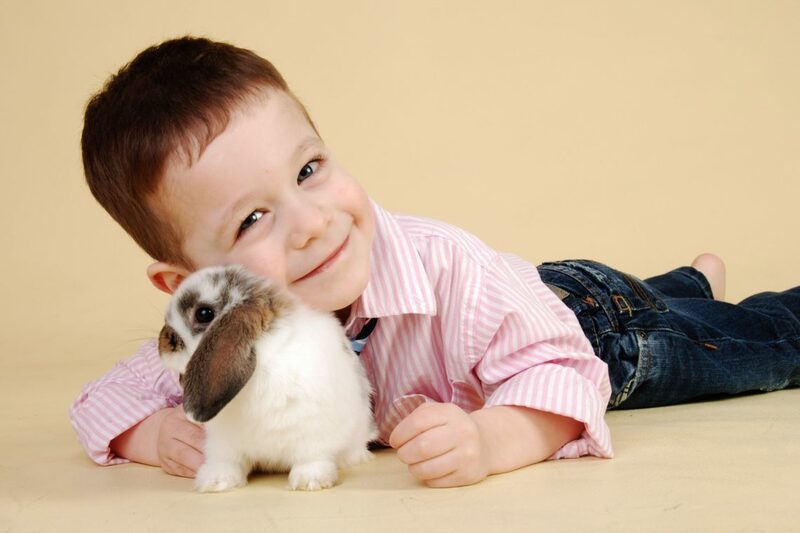 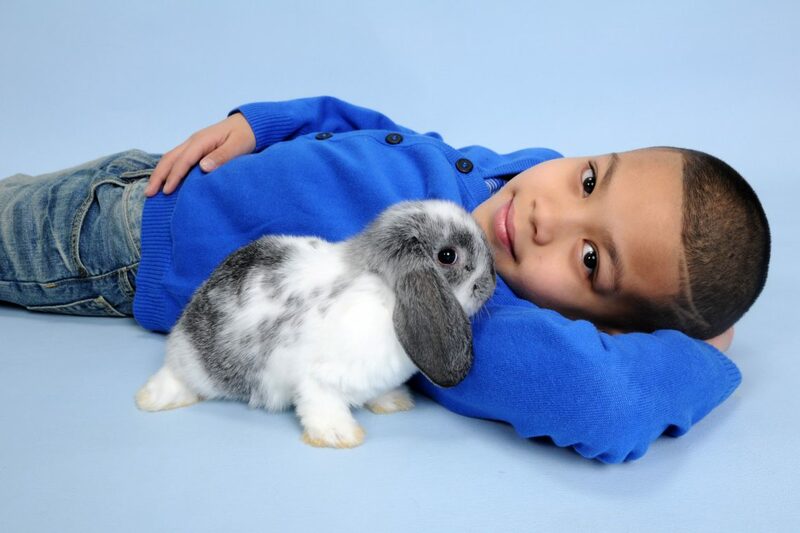 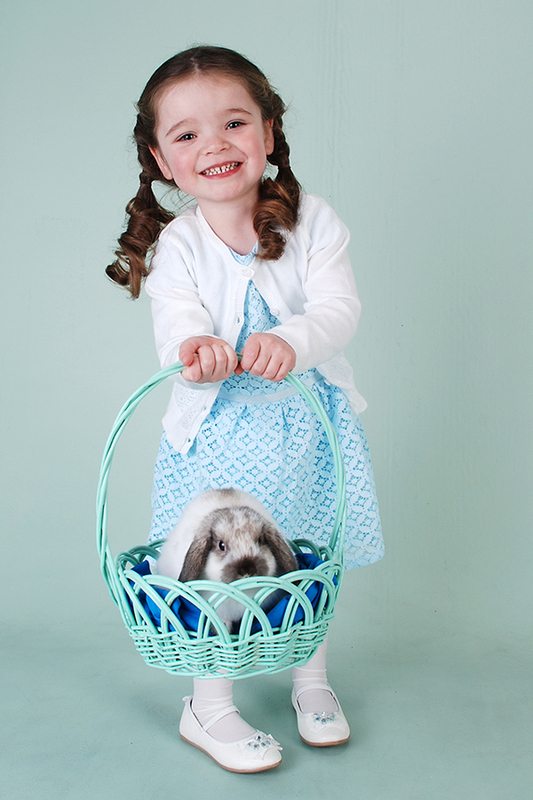 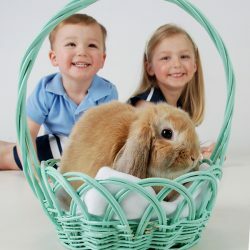 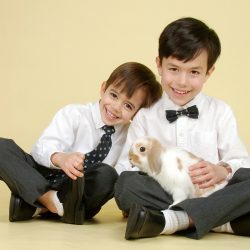 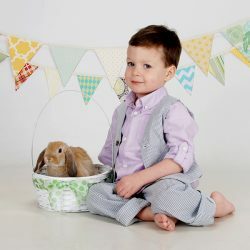 Boys, girls, and kids of all ages will enjoy having their picture taken with a live bunny for their Easter photos. 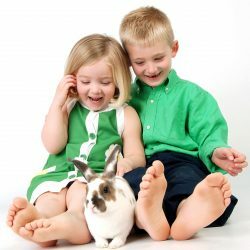 When the weather is finally starting to warm up, Easter is a great time to break out the shorts, dresses, flip flops, or let your children go barefoot for a natural photo. 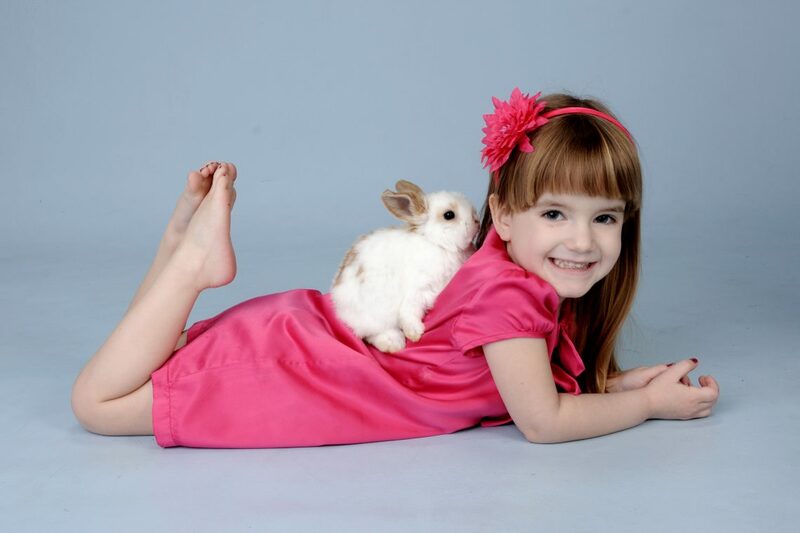 Ideas for girls are bright or pastel colors, floral dresses, hair bows or ribbon. 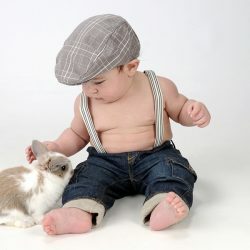 Boys can wear a classic button down shirts for a more classy look, or simple pants with a pastel blue or green shirt. 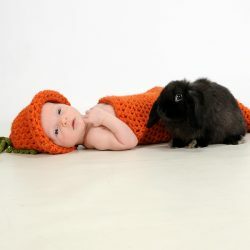 When there is a live bunny in the photo studio, there doesn’t need to be a lot of emphasis on props. 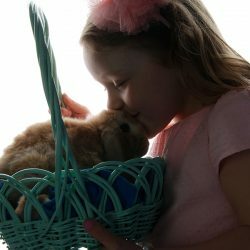 Your children’s expressions and the furry bunnies will be focus enough. 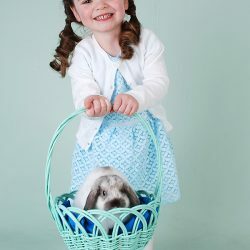 We have a variety of solid colored backgrounds that will complement what you choose to wear, or even bring out the blue of your kids eyes. 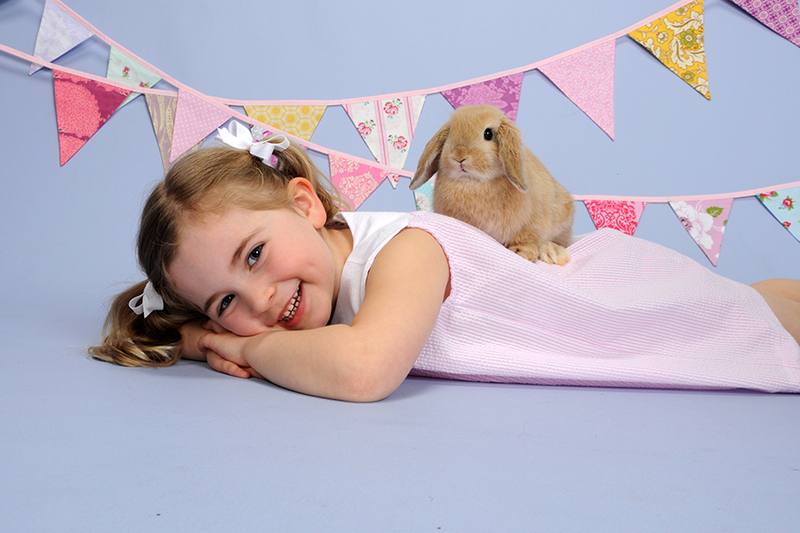 We also have many different Easter props that will enhance and add character to the photos. 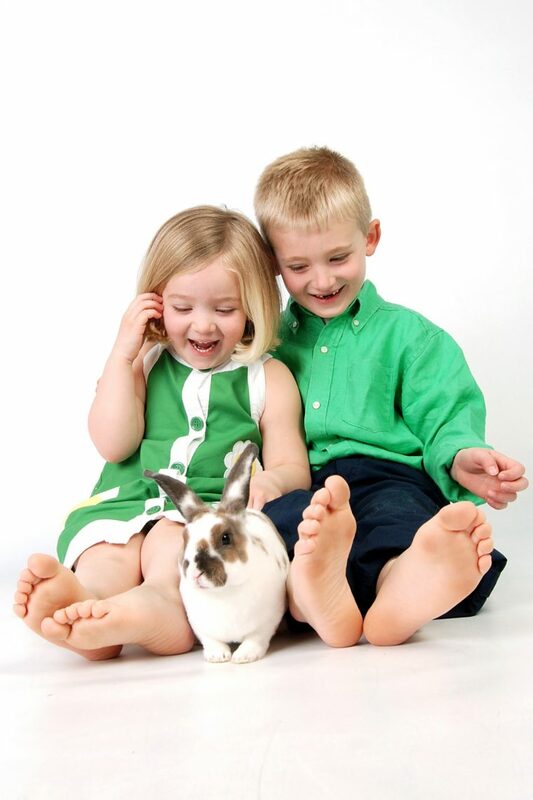 It can be very rewarding to let your children play with the live bunnies and catch some more spontaneous moments. 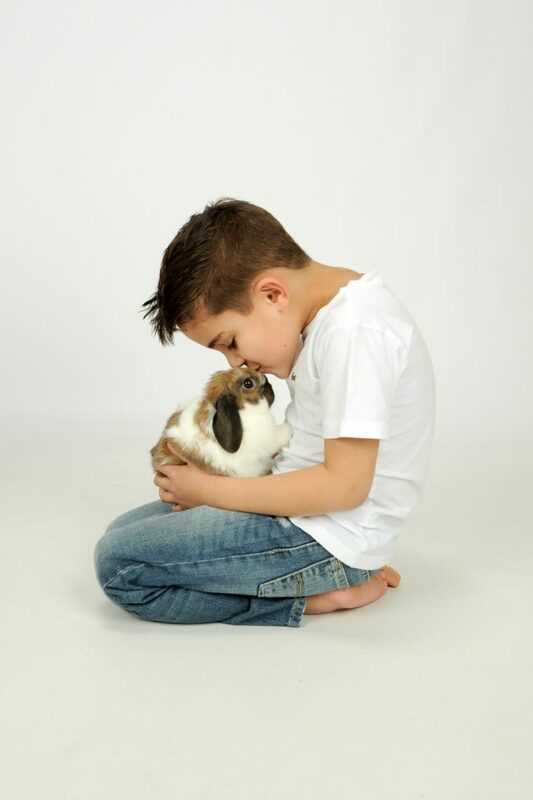 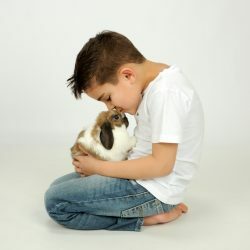 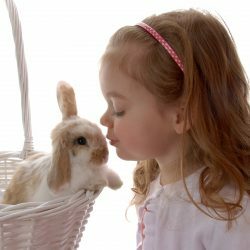 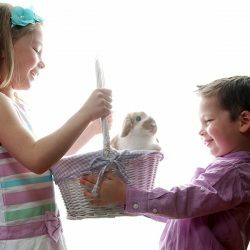 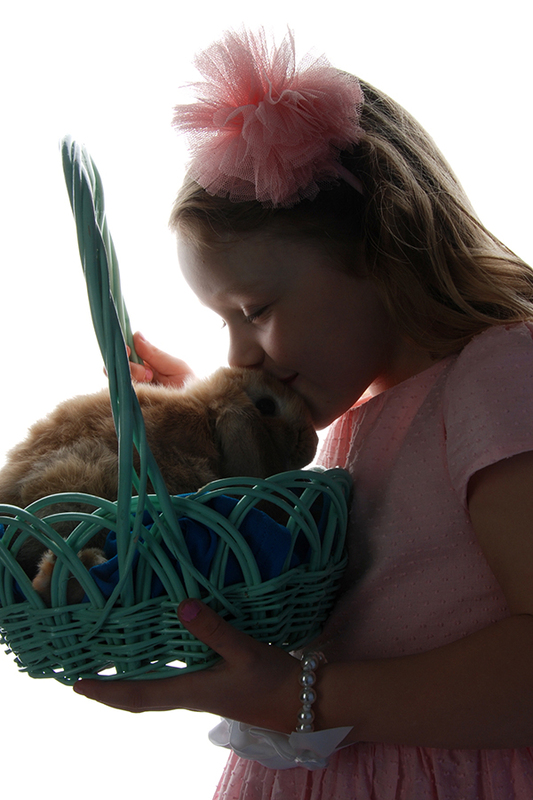 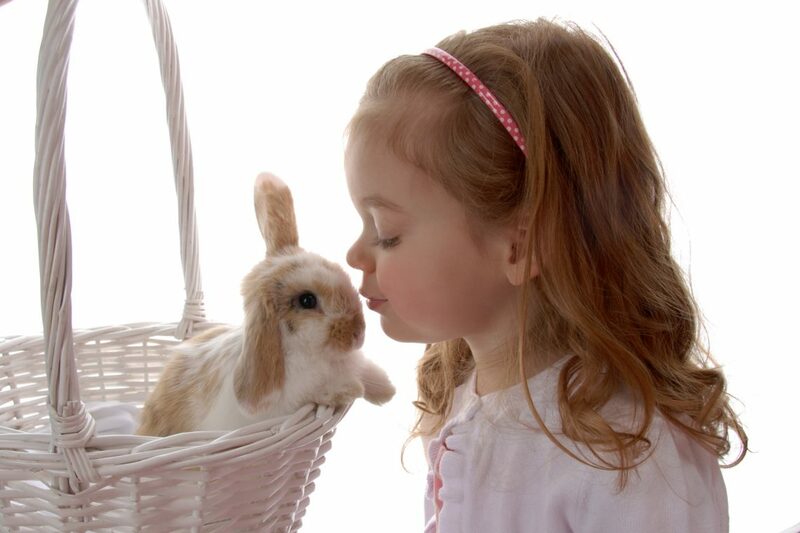 When your children have the opportunity to pet, kiss, or hold a bunny, their expression will fit the moment. 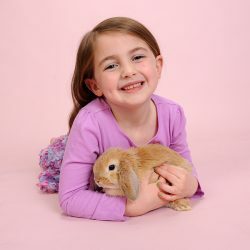 You can see below some of our most popular and natural poses. 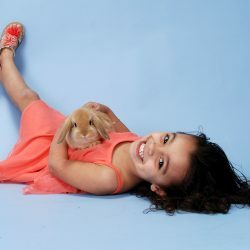 We can create photos that are funny and exciting, cute and precious, or quiet and beautiful, from full body photos to touching close-ups. 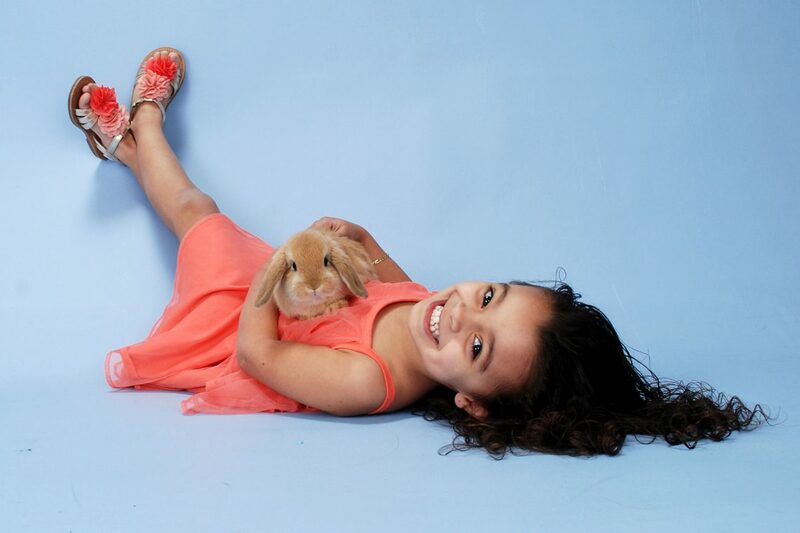 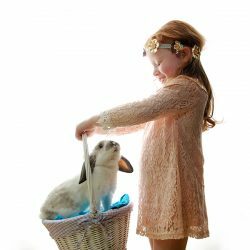 Our photo studio has been taking beautiful portraits with live bunnies for 12 years and has become a family Easter tradition. 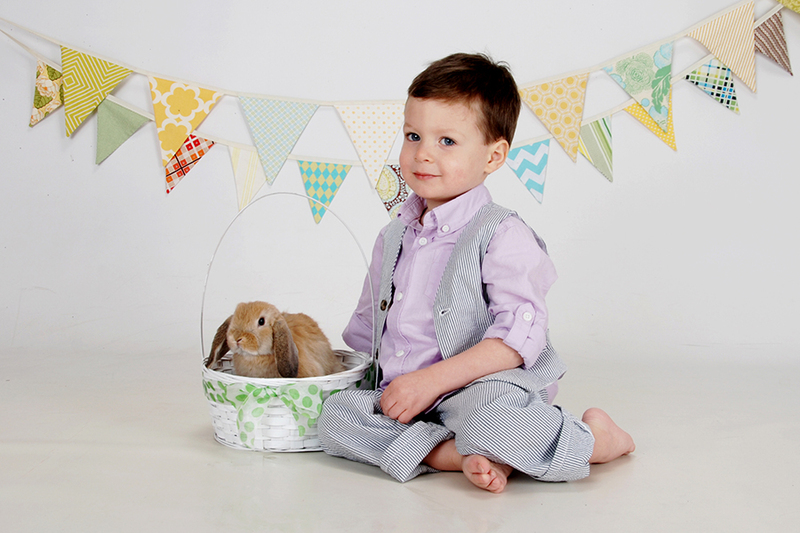 Call today to schedule your appointment for Easter photos.